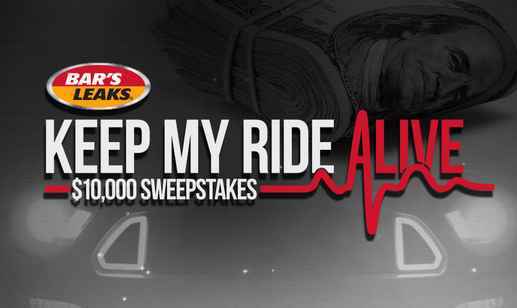 PowerNation TV has teamed up with Bar’s Leaks to brings you the Bar’s Leaks Keep My Ride Alive $10,000 Sweepstakes where they are going to giveaway $10,000 in cash to one lucky winner. How To Enter: During the giveaway period go to this link: www.powernationtv.com (RTM’s website) or www.barsleaks.com (Bar’s Leaks’ website) and follow the online instructions to register by entering all information requested on the registration form and once you filled out the entry form now Click on the submit button to complete the registration form. Prizes: The prize will be awarded subject to these rules. One (1) lucky Winner will win one (1) prize consisting of: $10,000 in Cash USD. 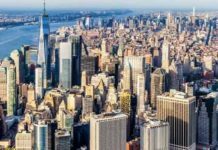 Who Can Enter: This sweepstakes is open only to legal residents of the fifty (50) United States and District of Columbia who are the age of majority in their state or territory of residence at the time of entry. When To Enter: The PowerNation TV Bar’s Leaks Keep My Ride Alive $10,000 Sweepstakes entry begins at 12:00:01 PM Central Time (“CT”) on May 6, 2018 and ends at 11:59:59 AM CT on December 5, 2018. Who’s Sponsor: RTM Studios, LLC (“RTM”), located at 130 Southeast Parkway Court, Franklin, TN 37064.